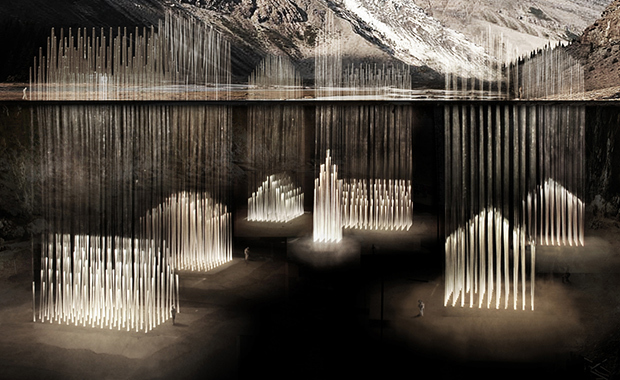 “Resonance, memory”, the 1st Place winning project in the International VELUX Award 2012 competition. Created in ETHZ-Ecole Polytechnique Fédérale de Zürich by Bo Li, Ge Men, under the mentorship of teacher Luka Piskorec. Registration has recently been opened for the International VELUX Award 2014 Student Competition – open to any registered student of architecture – individual or team – all over the world. The International VELUX Award 2014 for Students of Architecture encourages and challenges students of architecture to explore the theme of daylight in its widest sense – and to create a deeper understanding of this specific and ever-relevant source of energy and light. The total prize money is 30,000 Euro! Up to 10 projects in total will be shortlisted for honorable mention and an award trophy. “Light of Tomorrow” is the overall theme of the International VELUX Award. The award is not restricted to the use of VELUX products. Projects can, however, challenge the use of VELUX products in a sustainable future – within the scope of the award.